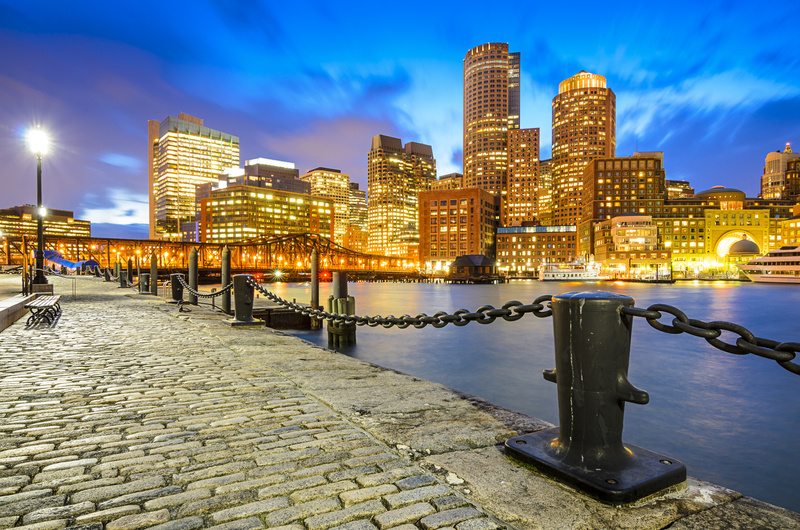 The American Bar Association (ABA) Business Law Section is holding its 2016 Annual Meeting in Boston on September 8-10. I’m looking forward to meeting with my colleagues in the Nonprofit Organizations Committee, attending the various programs, and expressing my appreciation as one of the recipients of the Committee’s Outstanding Nonprofit Lawyer Awards. The panel will discuss variations in accelerator and incubator ecosystems in various parts of the U.S. Additional topics covered will include securities law issues related to representing early stage companies and how lawyers can cost-effectively represent them. Ethics in attorney compensation and investing in your client will be discussed. The program began with a discussion of the differences between accelerators and incubators, noting generally that accelerators provide support over a more limited duration (average of 15 weeks); select and work with a more limited group of cohorts (average of 7 portfolio companies); are privately owned and take an equity stake in their portfolio companies (unlike with most incubators, many of which are nonprofits); and appear to be associated with a higher success rate in terms of raising capital, gaining customer traction, and exerting a positive impact on regional entrepreneurial ecosystems. Registration is a very cumbersome, time consuming and expensive process. However, luckily, the Act contains exemptions from registration under Regulation D (17 CFR § 230.501 et seq.) Regulation D contains rules providing exemptions from the registration requirements, allowing some companies to offer and sell their securities without having to register the securities with the SEC. Securities offered under any of these exemptions are referred to as private placements. How to structure the private placement is critically important, because early stage companies often do not have the funds available for a full private placement memorandum. The attorney should evaluate the situation to determine if the Regulation D exception requirements rise to the level of necessitating a private placement memorandum, or, alternatively, is the company better served with a subscription package that includes items such as: (i) instructions for completion; (ii) disclaimers; (iii) subscription agreement; (iv) instruments for the raise (i.e. form of convertible note); (v) investment considerations; (vi) investor questionnaire; and (vii) company’s business plan, projections and sources and uses. Some common misunderstandings result from a failure to recognize that: (1) notes (evidencing the sale of debt) and passive interests in a limited liability company are securities, which will require an exemption from registration; and (2) managers that sell securities may need to ensure they fall under an exemption from registration as a broker, which may require that they do not participate in selling an offering of securities for their company more than once every 12 months (challenging if there are multiple rounds of financing). The program also covered several ethical issues facing attorneys that work with startups at accelerators or incubators, including those associated with: (1) serving on an advisory board or as a mentor; (2) becoming an officer or director of the company1; (3) taking equity or options as compensation; (4) investing in the company; and/or (5) working on a contingent fee. I’m particularly intrigued by the program titled Chan-Zuckerberg & Friends: Using Philanthropocapitalism to Accomplish Charitable Goals: Will Foundations Become an Endangered Species? This program will discuss benefits and traps regarding alternatives to traditional foundations for accomplishing social good; in particular, using LLCs, other philanthropic ventures, and non-charitable tax-exempt entities. We will discuss how these structures avoid constraints imposed on 501 (c) (3) organizations, governance issues, political impacts, and charitable oversight by state Attorneys General. I’ve previously written about the Chan-Zuckerberg Initiative on this blog here and here and can’t wait to hear the perspectives of the outstanding panelists: William Fournier (Caplin Drysdale), David Levitt (Adler Colvin), Sharon Lincoln (Foley Hoag), J. William Callison (Faegre Baker Daniels), and Will Fitzpatrick (Omidyar Network). Professor Philip Hackney (Louisiana State University) is moderating. I’ll provide some highlights below – stay tuned. Private foundation restrictions like self-dealing and requirements of public disclosure have led to alternative ways of giving using taxable entities. However, private foundations still are very popular vehicles for charitable giving that provide substantial tax benefits to their founders/donors and a charitable mission lock on their assets after their death. Taxable entities as vehicles for achieving social good may provide greater opportunities for donor engagement, flexibility (including in making investments), and earned income. And they may share common ground with nonprofits and be used to facilitate or promote microphilanthropy (e.g., crowdfunding). Program-related investments (PRIs). The primary purpose of a PRI is to accomplish one or more of the foundation’s 501(c)(3) exempt purposes (other than testing for public safety), production of income or appreciation of property is not a significant purpose, and influencing legislation or engaging in political campaign intervention is not a purpose. Mission-related investments (MRIs). While an MRI is not currently defined by the Internal Revenue Code or Treasury Regulations, it is generally considered to be an investment for both a financial return and a social impact return (more specifically, one that advances the particular mission of the investor). IRS Notice 2015-62 generally provides that it’s not a lack of reasonable business care and prudence (and therefore not a jeopardizing investment under IRC 4944) merely because the private foundation managers consider the social impact return related to the foundation’s mission as well as the financial return the investment may produce in selecting an investment. Excise tax on net investment income applies to income generated by both PRIs and MRIs. IRC 4940. PRIs (not MRIs) count toward the foundation’s mandatory distribution requirement, and PRIs (not MRIs) are not counted in the assets for purposes of determining the foundation’s 5% distribution requirement. IRC 4942. Excess business holdings rules apply to MRIs (not PRIs). IRC 4943. PRIs are exceptions to jeopardizing investments; MRIs are not (but see the discussion of IRS Notice 2015-62 above). IRC 4944. The rules regarding taxable expenditures apply to PRIs, including the expenditure responsibility requirements. MRIs, on the other hand, are not subject to these requirements. IRC 4945. Chan-Zuckerberg Initiative – still in its very early stages but with great flexibility, know little about its governance structure and internal obligations/restrictions created, know little about its exit strategy and how to avoid eventual estate taxes, entity discloses what it wants. Omidyar Network – private foundation (grantmaking and PRIs) and taxable LLC (Series A and B investments), which pays for all of the expenses of both entities. Public concern about philanthrocapitalism: no dedication of assets to charitable purposes beyond founder’s (or their heirs’) whims, no required transparency about use of funds. Will we see new laws affecting taxable vehicles with a publicly announced social good purpose? Perhaps nothing directly imposed on private taxable vehicles. But likely to see continued incentives or allowances for social investments. And may continue to see new laws related to deductions and solicitations.